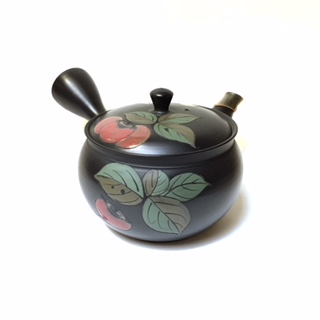 Black tea pot with red ripe persimmons and vibrant green leaves. Ceramic spout strainer. 3 1/4" diameter opening and 3" height.